The Kiddy Kare Learning Centers offer a unique physical environment that is key to providing opportunities for independent exploration and learning. Inspired by child-initiated and teacher-guided early education approaches, Kiddy Kare has provided an invaluable start for thousands of children in the Chicago area. 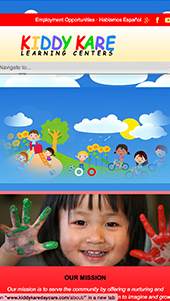 Kiddy Kare's web presence includes 6 locations, each with year-round full and part-time education in the for infants and children starting at three months of age. Their existing website was in need of a redesign to be mobile friendly and visually appealing. 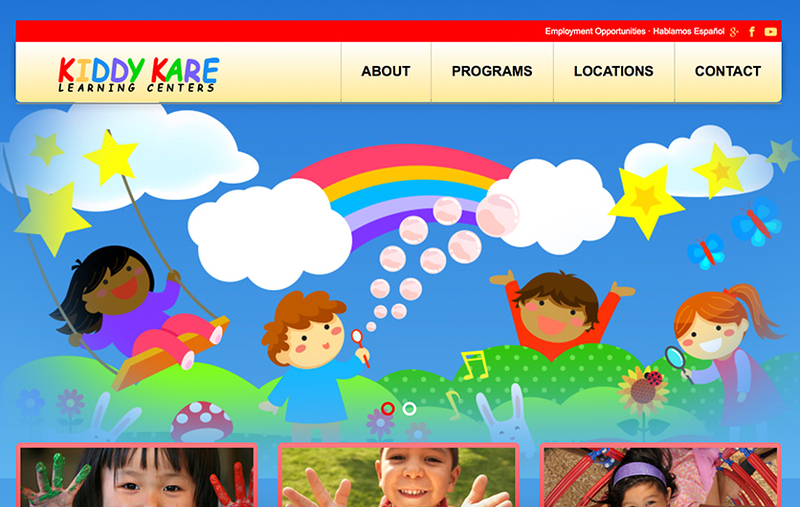 All in all, we created a color-rich website for Kiddy Kare Learning Centers that highlights their child care expertise. Navigation was a particularly critical piece of this project. The end user interface needed to provide quick access to each of the center locations with useful information at their client's fingertips.